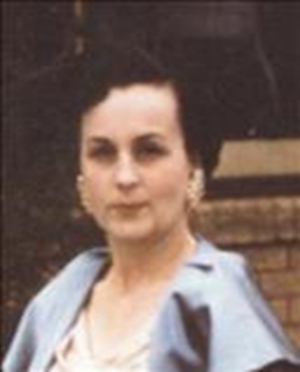 Obituary – Graham, Lucille Kathryn (Ritthaler) « Perry High School Alumni Association, Inc.
– daughter of Mr. and Mrs. Al Ritthaler, was born July 11, 1918 in Castleton, Kansas. She has attended school in Rocky Ford, Colorado, Monroe, Washington; and Perry. Oklahoma. While a student in Perry High School she has been a member of the Girl Reserves, Red Hot Club, Glee Club, High School Quartet, Orchestra, and has been in a Junior play, and an operetta. She has won two violin contests and was awarded a gold medal and a blue velvet booklet. Following graduation she expects to become a musician and wishes to take a special course in music study. Lucille Kathryn Graham, 93, died on Sunday, January 8, 2012 in Stillwater, Oklahoma. Her funeral service will be held at 2:00 p.m. on Thursday, January 12, 2012 at Strode Funeral Home Chapel in Stillwater. Interment will be at Grace Hill Cemetery in Perry, Oklahoma. Strode Funeral Home is in charge of arrangements. Lucille was born on July 11, 1918 in Castleton, Kansas to August Ludwig Ritthaler and Kathryn Frances Goering Ritthaler. She married Clarence Graham on July 11, 1938 in Perry, Oklahoma and was happily married until his death in 1985. She was an artist, and for many years she taught art and served as the Director of Studio Gallery in Stillwater in association with Jacques Hans Gallrein, a well-known regional artist. Her paintings, along with Mr. Gallrein’s, are on display in many Oklahoma institutions: The State Capitol, Marland Mansion in Ponca City, Oklahoma State University and others. Her remaining works, along with Mr. Gallrein’s, have been contributed in her name to Oklahoma State, and selections may be currently viewed in Murray Hall. She was a member of various business, professional and music organizations. Most importantly, she was a devoted and always loving and gracious mother, wife and daughter. Lucille is survived by one son, Michael Graham of San Francisco, California, three grandchildren Deirdre Graham of Half Moon Bay, California, Leslie Hee of Denver, Colorado, and Christopher Graham of Denver, Colorado. She is also survived by two great grandchildren, Payton Schrivner and Mckenzie Schrivner of Denver, Colorado.